Your Google Assistant can help with the little things like setting an alarm or playing your favorite music, or the big things like planning a special occasion. Just ask your Google Assistant and make Google do it. 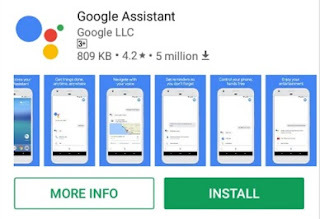 You can easily access your Google Assistant by holding the Home button on your phone or by simply saying, “Ok Google.” Your Google Assistant also syncs to your other devices including Google Home, smart TVs, laptops, and more. The Google Assistant is your personal assistant and time management tool. Quickly check your inbox, keep track of your to-do lists, and set reminders and alarms. Whether you’re driving, biking, or walking, use your Google Assistant to navigate and stay in touch. Love news, arts, and culture? Your Google Assistant can keep you updated on the latest headlines and sports scores, or offer translations in over 100 languages. Play music, watch your favorite shows, dim your lights, and more. Google Assistant syncs with your Google Home, Chrome cast, and other devices. Remind yourself to send a birthday card, make calls hands free during your commute, and unwind by playing your favorite tunes. Ask your Google Assistant questions and get things done. Use it anytime, anywhere.